Indonesia, with a population of approximately 267 million, is the largest market for the Food Service Industry in the ASEAN region. With rising incomes amongst the growing middle class and changes in lifestyles, the Food Service Industry in Indonesia is expected to show a compounded annual growth rate (CAGR) between 2018 and 2023 of 7.06 percent. The two major population groups in Indonesia that are deemed attractive target consumer bases for the Food Service Industry in Indonesia are the middle-income group and millennials, due to their large number and unique consumption behavior. Indonesia has a relatively young population, with 59 percent being aged between 15 and 54 years and a median age of 30 years. This big, yet young slice, gives Indonesia one of the best ever “demographic bonuses” enjoyed by any country today. Indonesia’s increasing urbanization and a rise in the number of office workers has consequently seen growth in both disposable income and household consumption. Fortunately for the restaurant owner, cooking food (by themselves) appears to be low on the agenda for millenials. However, they are becoming increasingly interested in the ‘foodie’ scene, and enjoy trying new cuisines and dining concepts. A recent food consumption report by Nielsen found that 11 percent of Indonesians citizens eat out at least once a day, which is higher than the global average of 9 percent. Additionally, Indonesian people are becoming more conscience of food quality and ease of purchase factors, resulting in a demand for safely prepared food as well as fast delivery options. Food service industry growth has been consistent over the past several years. SWA Magazine stated there were 380 million restaurant visits in Jakarta during 2013 and resultant revenues of IDR 22.23 trillion (approx. USD $1.5 billion). The same research identified the number of high-end restaurants in Jakarta more than doubling in the period of 2009 to 2014. According to Euromonitor, food service in Indonesia grew at a CAGR of 8.7 percent from 2010 to 2014, reaching USD $36.8 billion sales in 2014. Indonesia's Trade Ministry statistics state that the Indonesian culinary sector overall grew by 8.16 percent in 2015. More recently, growth by outlet has slowed down although larger food franchises continue to expand steadily. As of 2018, value growth continues to exceed forecasted expectations as does daily sales volumes. The emergence of digital communications in recent years has further diversified the food service industry. Indonesian consumers are more active on social media than the global average, and food outlets benefit from the digital ‘word-of-mouth’ through social networking services like Instagram, as well as review sites like Trip Advisor, Zomato and Google Reviews. ‘Influencers’ on social media continue to rise in popularity and food operators continue to employ their services as a marketing tactic to reach their target market. Additionally, online ordering via apps such as Go-Jek's ‘Go-Food’ app, has provided a more seamless delivery service. As of August 2018, approximately 100,000 food operators were listed on the app, from small local nasi goreng stalls to pricey sushi restaurants. The growth of the food franchise sector in Indonesia continues to grow at a faster rate then independent operators. The franchised food service sector currently employs in excess of 150,000 people, many of who are employed by internationally recognized brands having multiple outlets such as Pizza Hut, McDonald’s and KFC. CAGR for top franchises range from 8 percent to 21 percent, the most successful by CAGR, increase in outlets, and sales value being Pizza Hut under the operator PT Sarimelati Kencana, which recently listed on the Indonesian Stock Exchange. Undoubtedly globalization has opened the market for foreign foods and flavors in Indonesia. International food brands have followed tourists and returning nationals into the country. However, recent surveys have shown that whilst Indonesian consumers like to try new cuisines, they still have a preference for Asian foods. International brands who have customized their menu to suit the Indonesian taste buds have experienced greater success. A single meal in a franchised fast food outlet ranges from IDR 30,000 to 50,000 (approx. USD $2.35 to USD $3.35), whereas a meal in an inexpensive domestic restaurant can be as low as IDR 17,000 (approx. USD $1.17). In comparison, a meal for two in a mid-range domestic restaurant ranges from IDR 80,000 to 270,000 (approx. USD $6.7 to USD $18.13). Across the sector, for the restaurant owner, whether domestic or franchised, the average revenue per user (ARPU) is IDR 124,165 (approx. USD $8.34). Whilst the outlook for new food franchises in Indonesia looks good, there are also a variety of requirements that need to be met. These range from the practical, such as the reported delays in obtaining halal certificates, to addressing regulations laid down by the Ministry of Trade. • There must be a partnership between the franchisor and franchisee, which itself should be a small to medium-sized enterprise (SME). • The partnership has to be registered with the Ministry of Trade, to which there must also be regular reporting. • A foreign franchisor cannot have more than a 49 percent stake in the business, meaning that a franchise cannot be a subsidiary of the franchisor. • The franchisor must provide training, on-going support and market development for the franchisee. Potentially the most important element of franchising regulations relates to ‘local content’. Eighty percent of the goods and services, business tools and raw materials must be sourced and produced in Indonesia. Additionally, there are other restrictions on ingredient imports that can pose some complications on food franchises with staple recipes. The prospects for food franchises in Indonesia look good, with a positive and significant growth outlook. Key to success will be standardizing food operations and logistics, including delivery processes, which is no easy task in the Indonesian environment. “Many people can open restaurants but they cannot expand without the right system. Operations in this massive archipelago is everything,” said Mr Alwin Arifin, President Director of the Sriboga Food Group. Despite the recent weakening of the Indonesian rupiah against the US dollar, local regulatories have in part mitigated the effect of currency fluctuations by making franchises less susceptible to volatility of prices in world markets for the commodities they use. For example coffee, cocoa and palm oil are all domestically available. One of the historical, and ongoing, restrictions on development of businesses across the 922 islands of the Indonesian archipelago has been the infrastructure for logistics, extremely relevant when it comes to perishable foods. Improvements in the national infrastructure of both roads and ferries in recent years have mitigated some of these restrictions, with good connections now available to some of what were previously considered ‘remote islands’. However, large restaurant chains continue to rely on their own initiatives to tackle the complications of logistics and ingredient supply because without doing so successfully, they cannot expand. Food service operators offering food delivery is one of the biggest opportunities in this sector. 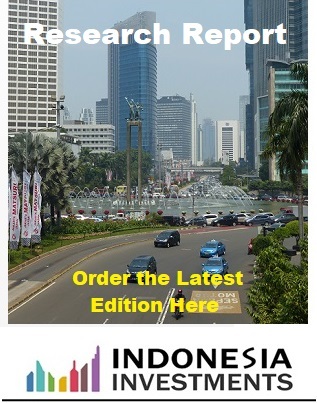 The rapid expansion of 4G mobile networks across Indonesia increases the scope for businesses that use smartphone apps for ordering, payment and fulfillment. Established outlets have had the technology and systems for delivery in place for some time, such as Pizza Hut Delivery who were the first major takeaway/delivery only food franchise to enter the market. New technology and food delivery apps have since enabled new players to enter the market at a relatively low cost and continues to spur on the outstanding growth of the food service industry in Indonesia. The author, Nicole Przybylski, is a business development and digital strategy consultant who has been living and working in Indonesia for seven years with companies such as Sriboga, Kitchen Aid, and IPMI university.